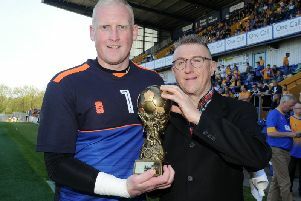 Chad sports editor John Lomas looks back on another successful week at Mansfield Town FC in his weekly Stags video podcast. He talks about the win at Crawley, the dealings on transfer deadline day, the manager’s plea to the fans for patience this weekend and team selection headaches for the visit of Morecambe. For the best coverage of the Stags 24/7, visit www.chad.co.uk and log onto our Mansfield Town Live Scribble feed just under the main Chad masthead.